Hackathons are part of Imagga’s DNA – we love to hack and we definitely like to win. Porsche InnovationEngine hackathon took place in Salzburg, Austria on 8-10 June 2016. 12 teams all across Europe participated. We are happy to announce we won 1st prize but here’s a short report about this great event. There were three tracks for the teams to complete – car recognition, financial optimization, the best car for me. It’s quite obvious we’ve decided to participate in the car recognition challenge. Every great hackathon should start with nice dinner, and that’s what happened Friday night. As you can imagine we’ve been busy drafting the hack idea, meeting mentors and doing the actual hack. Literary we used the time and available napkins (great startup weapon to remember awesome ideas) to craft our winning strategy. No surprise the next day we’ve digged straight into building our brilliant idea. Some mentors interrupted the process, but their insight on the car market was quite valuable. We’ve worked hard till midnight as we wanted to impress the jury with fully functional app including custom classification that was trained overnight. 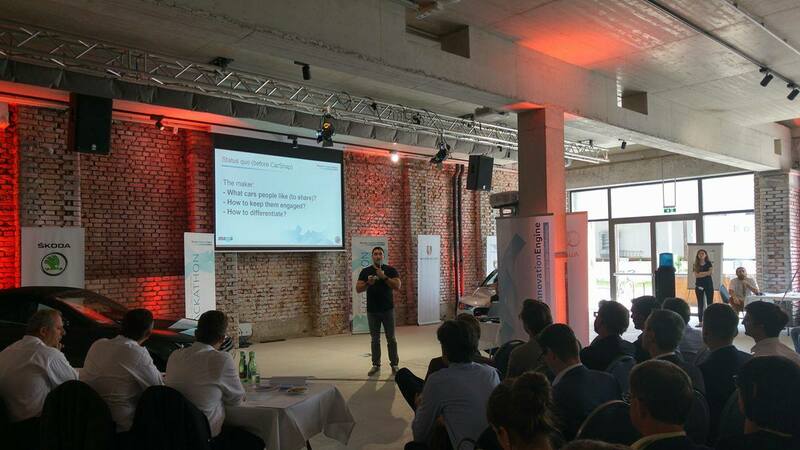 During the final day of the hackathon we presented in front of 40 managers and 3 C-level executives (incl. the CEO) of Porsche Holding Group. Our demo went really smooth and all were impressed with the technology and that we were actually able to put together fully functional demo in such a short time. Getting the first prize was such an honor and also an opportunity to work in that space – car discovery & search. Not to forget one of the perks winning Porsche hackathon – Audi Driving Experience! Looking forward to it!